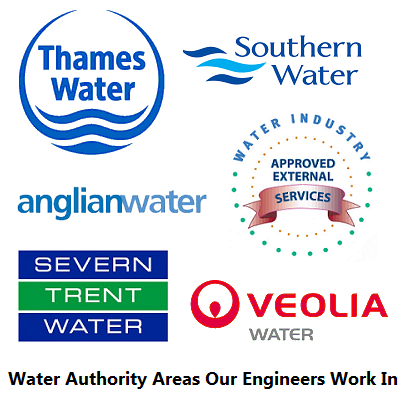 We have specialist moling equipment that allows our engineers to carry out a renewal or repair on water pipes with out the need to excavate or cause disturbance to your existing surface. Moling will avoid open cut trenches for installing, renewing and the repair of water mains pipes in a very cost-effective manner. What will it Cost Me to replace my water supply pipe by moling? 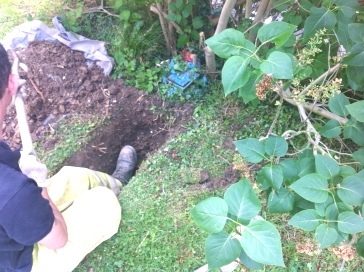 The cost will depend on the length of your garden from the boundary of your property to the connection point inside your property this is simple just give us a call today and we can give you an exact price over the phone of what it would cost you to replace your water or lead pipes to a new blue MDPE pipe. All our work is fully guaranteed for 10-years. What is moling? An impact mole is an air-driven device which is positioned from a small excavation point on the property once our operator turns the moling compressor valve this will allow it to punch its way through the ground to the next excavation point which is approx 10-15m away, once our engineer sees the moler coming through the soil is compacted outwards to create a smooth, almost glazed, bore which allows the water pipes to be installed quickly, without an unsightly trench. Apart from the small launch/receive pits, there is very little disruption and no visible piping Moling can create a bore under most surfaces or obstacles, lawns, hedges driveways, roads, ditches etc and can be used to install various pipes, cables or ducting.